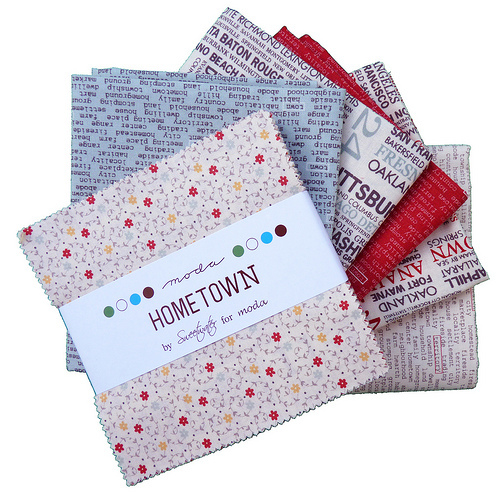 But then, the friendly staff at Quilt Essentials also sent me a Charm Pack of the entire Hometown fabric collection, and now that I've seen all of the prints in the collection, I realize that there just may be a few more prints that I need to add to my stash! I agree, this is my new fav and I have just finished sewing and blogging about my two new table runners from this line and there may be some cushions in the near future aswell. I have the Town News prints in transit from the US to Australia at the moment and can't wait to see more than just a charm square of them!!! Did you see the canvas? 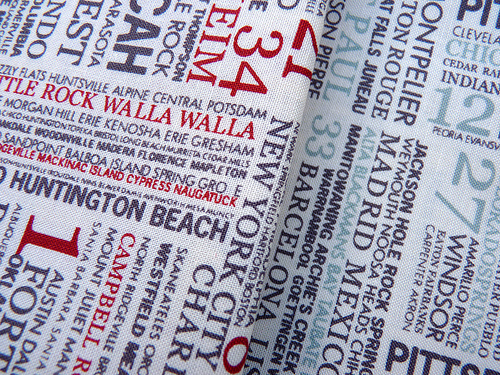 I know you're not very interested in heavier fabrics [at least not on the blog :)], but the dots in canvas...amaizing! I love it too. Trying to decide which of those town prints for the backing. Beautiful package! We do this so beautiful fabrics! Once I win if you play America! 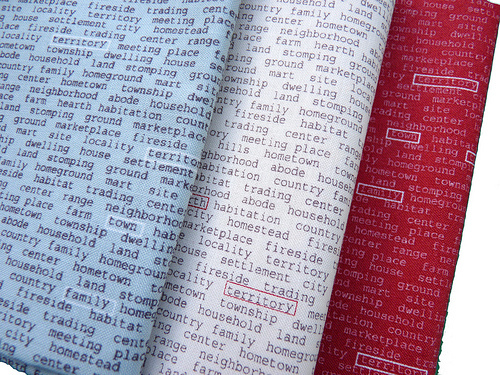 I am rather enamored with the dotted canvas from Hometown!